Add red pepper, tomato, mushroom, kidney beans a pinch of salt and pepper. Bake 20-25 minutes or until a knife inserted near the centre comes out clean. Freeze option: Cool baked egg muffins. Cover and place on waxed paper-lined baking sheets and freeze until firm. Transfer to resealable plastic freezer bags; return to freezer. To use, place in greased muffin pan, cover loosely with foil and reheat in a preheated 350° oven until heated through. Or, microwave each muffin on high 30-60 seconds or until heated through. Enjoy! Meal planning – why we all should! Having a meal plan means that you can go more on autopilot – the thinking and planning has already been done and you should have the right ingredients and time to create the meal you need to. 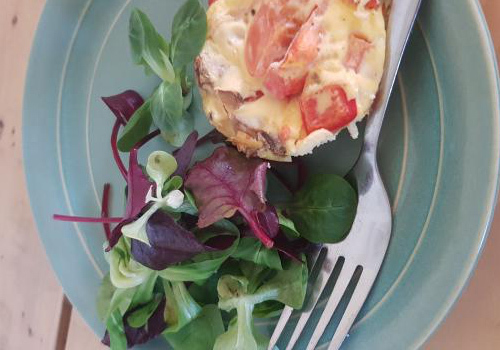 1 – More organised meal times! There’s nothing more frustrating than opening all the kitchen cupboards to see what you have – waiting for inspiration to hit as to what to cook – only nothing stands out! Time you spend thinking about what to cook could actually have been spent cooking meal and getting it done so that you can spend more time afterwards doing something else that you want to do. Having no clear plan for meals often leads us to make bad choices with what we eat. 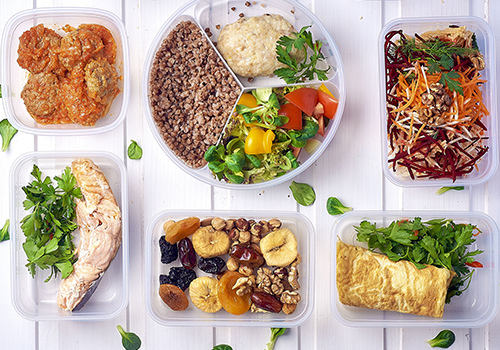 Takeaways or ready meals seem to be a quicker option and can easily become habits if we’re not careful, and actually there are many meals that are just as quick and easy but a lot healthier for you that can be made in the same amount of time. Meal planning removes the need to make a choice when you’re hungry and/or tired, and planning up front with a clear head means you are more likely to try and plan healthier foods most of the time. Meal planning means you are more likely to be able to create a more balanced week of food as you are thinking about it up front and can see any repetitions before they actually happen. Even though each meal you eat may be really healthy, if you only look at one meal at a time (which will happen if you don’t meal plan), then you can all too easily lose sight of the bigger picture and create a less balanced diet as a result. Seeing what you are eating for the next week/month written down can alert you to any patterns of bad habits you may want to change, and often can give you the push to try new things or change things round a little more often, which can only be a good thing! If you can create meal plans that use food wisely (what you already have, leftovers, freezing batches of food etc…) then you will start to see a natural reduction in how much food you waste. Buying only what you need for your meals that are already planned out, and not being swayed by bulk special offers, can avoid throwing out lots of food you haven’t been able to eat in time (before the expiry date) – which will also save money over time. Encourage the whole family to get involved in the planning and preparation of weekly meals. Posted in Health BlogLeave a Comment on Meal planning – why we all should! Not many people like the weekly trip to the supermarket. Make it easier on yourself by using a weekly grocery list — our top 5 reasons why not to leave the house without one! 1. A grocery list is a tool for meal planning. What should you put on your list? Take some time to think about what you need vs. what you want, research some new recipes, think of the staples that you eat daily, and voila! You’ve planned some meals for the week. 2. A grocery list saves you money. When you make a list before going to the grocery store, you’ll likely spend less on impulse purchases and stick to the aisles that have the foods you are looking for. 3. A grocery list saves you time. A list prepares you for navigating the aisles and helps to limit the mindless wandering or “what should I buy for dinner tonight” moments. Which could take more than a few minutes to ponder! 4. A grocery list helps with food waste. Your trolley is bigger than your stomach. Much bigger. Buying more than you and your family will eat may lead to food spoiling— especially if you don’t eat it in time! 5. A grocery list saves your waistline. Planned shopping trips might just be healthier— if you want them to be. 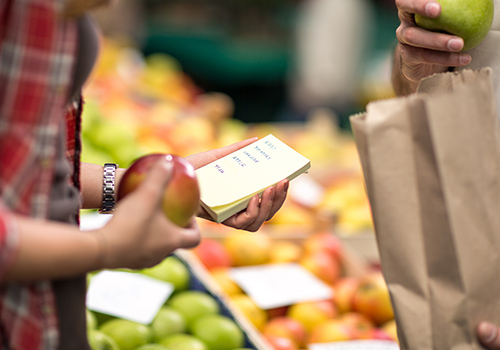 Making a healthy foods list at home vs. shopping without a list will help to keep you on track. 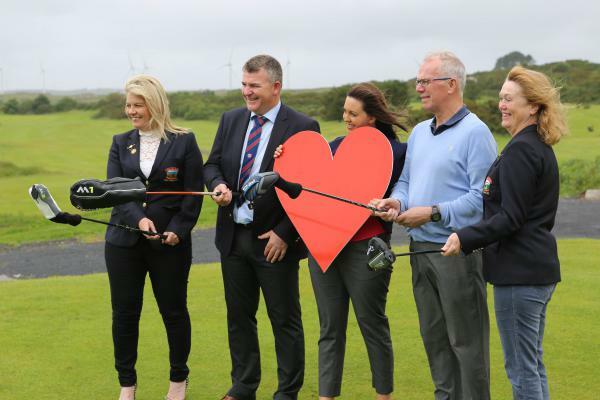 Launching the event, Croí Chairman Kevin O Reilly said “this is our first Croi Fundraising Golf Event at Bearna Golf Club and we are very thankful to local company Burkeway Homes who have come on board as the main event sponsors. We also wish to thank the management and members of Bearna Golf Club for making their facilities available on the Friday before Race Week. This is a 4- ball competition with many great prizes, and live music on the night in Bearna Golf Club. The entry fee is €160 per team. A limited number of team places are still available – for timesheet and further details, please contact Tom Cunningham on 087-2550147 or email tom@jpcelec.com. Pictured at the launch of the Pre-Races Charity Golf Event in aid of Croi on Friday July 28th at Bearna Golf Club photo shows (left to right): Ailís McDermott, Ladies Captain Bearna Golf Club, Tom Cunningham, Captain Bearna Golf Club and event organiser, Caroline Spollen, Burkeway Homes, Kevin O’Reilly, Chairman Croí, Onóra Lynch, President Bearna Golf Club.